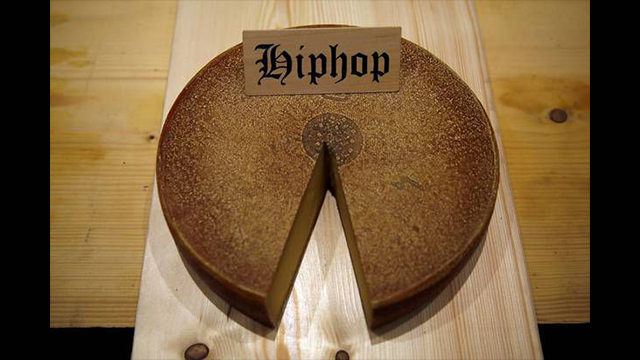 For the Best Cheese, Play Hip-Hop – Zero Equals Two! Smithsonian reports that researchers from Bern University played music for wheels of Emmenthal cheese for six months while it matured. Cheese technologists examined the results afterwards, concluding that cheese exposed to hip-hop music is by far the funkiest. After that, culinary experts sampled the cheese in two rounds of a blind taste test, and again the hip-hop cheese was a winner. This is only a start, of course — more experimentation will be needed. Perhaps someday cheese will be marketed based on the music to which it matures? Just imagine Depeche Mode cheese!